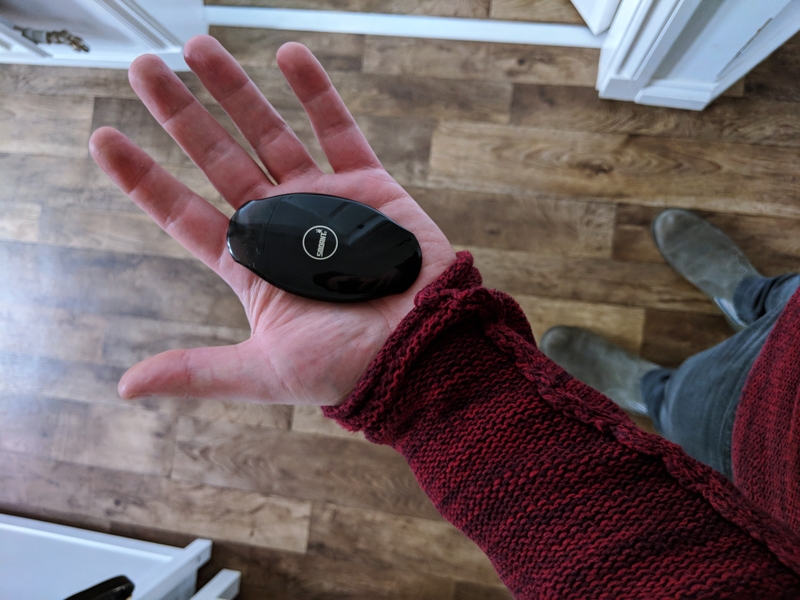 SMOANT S8 Pod Review: Better Than The Suorin DROP? SMOANT was cool enough to send me a pre-release model of the SMOANT S8 Pod, its brand new AIO, pod mod system. Pod mods are one of the biggest new trends in the vape scene right now. 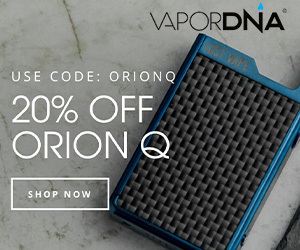 AIO – or, all in one vape devices – are the hottest new trend, and every man and his dog is releasing them right now. They’re small, simple, easy for beginners, and, in some cases, produce really great vapor. I’d say the SMOANT S8 Pod probably lines up pretty squarely with the Suorin AIR. It looks similar and is around the same price. And like the Suorin AIR, you can refill its pods with your own E Juice. A key aspect for me when considering one of these vape devices. So… how did I get on with the SMOANT S8 Pod? Right off the bat, I was impressed by the look and feel of the SMOANT S8 Pod. It’s cute, smart-looking, and super small. My fiancé didn’t believe it was actually a vaping device until I took a puff on it. It’s circular shape and soft edges make it very easy to handle or palm. It’s thin, but it does have weight to it – way more than I was expecting. The SMOANT S8 is composed of two parts: the pod/coil at the top, and the battery which is the entire bottom portion of the pod system. The two slip and slide together easily enough and refilling the pod is also very straightforward. Simply unplug the rubber stopper and fill her up. The entire chassis is smooth as silk, there are no buttons, as it has lip sensing technology, and the only break in the design is the USB port which you’ll use for charging it. I adore the way the SMOANT S8 looks and feels. It’s classy and stealthy as hell too. You slip it in your pocket and just forget its there. Even when you take it out, no one – and I mean NO ONE – will know that it is a vape. Where did all that vapor come from? Pretty simple, really. You fill the pod with E Juice, let it sit for about 5-10 minutes, then start vaping. It’s about as straightforward as it could be. The rubber port-covers are a little fiddly at first, but once you get the hang of catch them, it’s relatively easy to operate them. There are no buttons, so the device turns on as soon as the pod is docked with the battery. You’ll know when it’s on because there’s a blue light that flashes to let you know you’re in business. Next, take a hit. And that’s literally it. 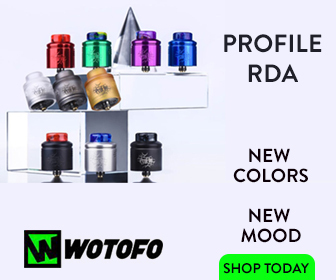 The coils do run out, however, just as they do in sub ohm tanks. How long do they last? A very long time – and this is largely down to the fact it runs at 1.3ohms. My first coil lasted me almost two weeks. And even then, it still had some life left in it. Replacement coil heads (or pods… or whatever they’re called) retail for $6. So how does the SMOANT S8 vape? Honestly, prior to taking my first hit, I wasn’t expecting much. It’s just so small! I couldn’t see how it’d be any good. But it is… And then some! The flavor is the first thing you notice; it’s precise, well executed, and full-bodied. The atty is tiny in this thing, so achieving this is very impressive indeed. The vapor production is also very decent. It’s not RDA-grade vapor production, but it is more than enough for me. And overall vapor production is NOT what AIO, pod mod devices are about anyway. They’re about portability, ease of use, flavor, and convenience. And the SMOANT S8 pretty nails all four of these things with aplomb! The coils it uses (they’re secreted away inside the pod) are rated at 1.3ohms and they give a really great MTL vape. I’ve been using the Kayfun Prime a lot of late, and I actually found the SMOANT S8’s MTL draw to be just as satisfying. Controversial, I know! It’s Vert Shiny – And That Makes It Something of a Fingerprint Magnet! It’s a little airier than the Kayfun, though it possesses just the right amount of resistance to make it a really memorable vape. This is an MTL vape device. It’s not designed for chucking clouds. Rather, it’s about flavor and discreetness. For this reason, you’ll want to change the type of vape juice you’d normally run. I tried some high VG E Juice and it didn’t really work. With an MTL vape, you want a throat hit – and that means higher PG. The best flavor I got from it was a 50/50 E Juice. It really hit the spot. Another option? Nic-Salts – and Yami Salt’s by Yami Vapor is 100% my favourite juice brand right now in this context. So, yes. If you do get this pod, make sure you get some higher PG juice as well – 80/20 (in favour of PG) minimum, I’d say. This is why Nic-salts is getting so popular. Because of the JUUL and devices like this. Get some Nic-salts E Juice and the SMOANT S8 turns into something else entirely, hitting like a freight train (in a good way) right at the back of your throat. I’ve been using this device for weeks now, I keep it in my car, and it is bloody fantastic. Especially when used in conjunction with Nic-Salts E Juice. I’m running Yami Salt in mine right now and it is brilliant. The E Juice makes the difference in these types of devices. So if you do get a pod mod system vape, get some Nic-Salts E Juice too. The two are designed for one another. Like football and beer. Pretty solid, actually. And that’s kind of impressive when you consider it is only rocking a teeny 370mAh cell inside it. I’ve found I can easily get a full day from mine and, as long as I give it a charge for an hour or so every evening, it’s good to go for the duration of the following day. You’re not meant to chain vape these devices either. Again, this is why Nic-salts come into play. Because they pack in WAY more nicotine, the hit is bigger, and you don’t need to vape as much as you do when vaping standard E Juice. I know, sounds backward. But trust me, it works. SMOANT S8 Pod Review – Verdict? All in all, super impressed with the performance of the ‘lil device. It packs a wallop in all the right places and looks freakin’ cool as f**k in the process. Easily one of the best pod mod vape systems around right now. Another banger! Good work, SMOANT! UPDATE: OK, I’ve just finished testing a bunch of other pod mods. Notably the SMOK ROLO BADGE and SMOK INFINIX, and this kinda highlighted something to me in a BIG way. SMOANT’s S8 is even better than I originally thought. For flavor and battery life it craps all over the two SMOK pods. Like, it’s not even close. This really is a killer pod mod device. So far, I’d say it is easily my favorite pod mod device. Just wanted to update this review with some new information.